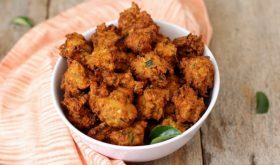 The key to perfect corn pakoda is to use corn kernels of the regular desi (Indian) variety. You can use sweet corn too. Its best to grate the fresh corn, alternately, use a knife to slice through the kernels and coarsely grind them. Very few ingredients go into this snack dish allowing the natural sweet flavor of the corn to stand out. Heat enough oil for deep frying in a heavy bottomed vessel on medium flame. In a bowl, add the coarsely ground corn, finely minced onions, green chilies, ginger, fresh coriander leaves and salt and mix well. Sprinkle besan, rice flour and corn flour over this mixture and mix well. Do not add water as the moisture from the corn will be enough to bind the mixture together. You should be able to shape small round balls out of the mixture. Check if the oil is hot enough for deep frying by dropping a small piece of the corn mixture into the oil. If it sizzles and comes to the surface, the oil is ready for deep frying. Slowly place a few corn balls (pakoda) into the hot oil and cook on medium flame. Do not crowd the vessel by adding more balls. Fry them till they reach a golden shade. Drain them with a slotted ladle and place them on absorbent paper. 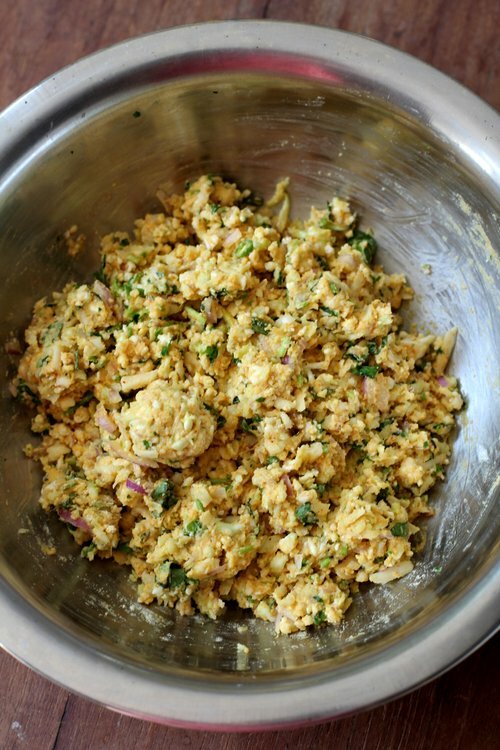 Prepare corn pakora with the rest of the mixture. Serve them warm with ketchup and chai. If required add more besan. You can also add roughly torn curry leaves instead of coriander leaves or use both. 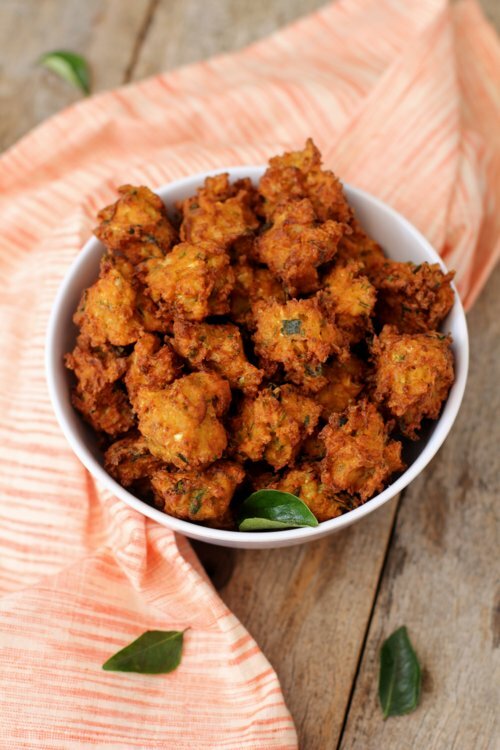 By Sailu Published: August 20, 2014 Corn Pakoda recipe is an easy to make snack using sweet corn. You can serve corn pakora as a starter too. Learn how to make snacks with sweet corn for kids. It is hard to say no to pakora. Mouthwatering. I (non-vegetarian) have a couple of vegetarian North Indian friends over for lunch on Sunday. I’d appreciate any menu ideas? Thank you. Hello Sailu, perhaps you remember me from long ago? 🙂 I am blog-browsing for the first time in so long — happy to see this recipe! I brought home corn that did not quite hold up to regular cooking so I think tomorrow, corn pakoda is the answer. I have a lot more to catch up on here — an ebook too!! Great post and very well explained.. Got to try this one..
MMMMMMMMMM! Totally drooling over here! I have to try this recipe!